The Moon and Venus in the same sign, in opposite signs, is a difficult combination for fulfillment in relationship. Why? It seems like two “sweet” planets like the Moon and Venus would be great together, and they are – for career – but not for love. The Moon is about getting our personal emotional needs met and Venus is about the needs of the relationship where both people strive for an equal exchange of energy between them. When a person has the Moon and Venus together in the same sign, opposite each other, or strongly aspecting in any other way, they struggle to find fulfillment in relationships because whatever their partner does for them it never feels like enough. Or, they expect to have ALL of their needs fulfilled only through their relationship and the relationship then becomes all about that person and their emotional needs (I do want to say, however, that this combination is good for the “one-on-many” way of evolving, for example a celebrity and their audience, or a therapist and their clients). The relationship is usually all about that person and their needs, or all about the other person, or they flip-flop back and forth, but there is not the natural give and take that a healthy relationship enjoys. The other person in the relationship, and the relationship itself, gets starved and the Moon/Venus person feels like they can’t get enough, no matter how much the relationship revolves around their emotional needs. We need to be able to fulfill at least some of our personal needs independently because it’s not possible to get all of our emotional needs met by another person, certainly not all the time. Do We Have a Moon-Conjunct-Venus Culture? 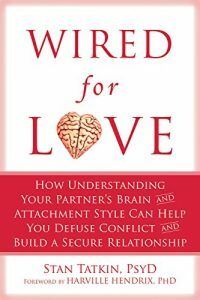 In the book, Wired for Love by Stan Tatkin, PsyD (another book I highly recommend), Attachment theory is pointing out that as a culture, modern marriage has been based on getting our personal needs met first, often at the expense of the relationship itself and that is why so many marriages fail. The Attachment theory idea is that if we tend to the relationship first, then both people will get their needs met far better than if they had strived to get their personal needs met through their marriage in the first place. In a way, it’s like our whole modern culture is a Moon conjunct Venus culture and marriage is all about us personally. The remedy is the same for a couple as it for a person who has Moon/Venus combinations – do what’s good for the relationship first and it will automatically be good for us individually because a strong, secure relationship makes it possible to do anything out in the world. It is, and isn’t, this simple, of course, but I’ve been thinking about how Attachment styles and astrology go together and how they can support each other. My friend and colleague, Channing Ayers, and I will be talking about this in depth in our upcoming videos starting next week, and we will be doing short free readings too on your attachment styles. We have already had an enthusiastic response from you and we have way more then 10 people wanting readings! RELATED: What is YOUR Attachment Style in Love? 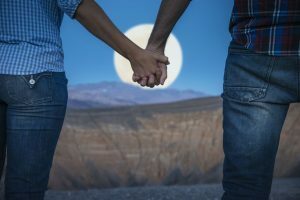 If you want an in-depth reading on your relationship capacity (this is changeable because human beings can learn) and/or if you’re in a relationship, how to make your relationship the best it can be (the Vedic Compatibility technique excels at this), then get the Ready-for-Love consultation. If you’d like to find out what your attachment style is and how you can make the most of it and/or become more secure in love, get the Ready-for-Love Consultation and find out everything you need to know about your love karma, what your future partner will be like (there will be clues as to their Attachment Style too), where to meet your partner and when you are likely to meet the love of your life. Get the Ready-for-Love Consultation for $159 for single people and $209 for couples (if you will both be attending the consultation)! For less than the cost of a dress or a couple of shirts, this reading is a great investment in yourself and your relationship FULFILLMENT & HAPPINESS. ← Monday Moon Message: What is Your “Attachment Style” in Love? Enjoyed your articles about the authors. Last night I watched a documentary on Amy Winehouse. It would be interesting if you did a series on talented, rich and famous people who rose quickly and then died, mostly from overdosing. ….like Jim Morrison, Janis Joplin. and to find the common thread in their charts! Amy has a fascinating chart would love to hear what you have to say about it!